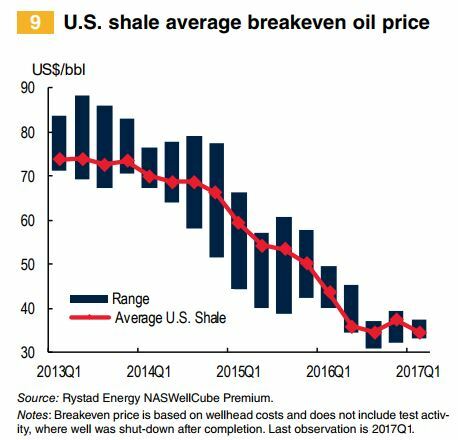 The World Bank released its October 2017 Commodity Markets Outlook last week, finding the average U.S. shale breakeven oil price has dropped more than 42 percent since the beginning of 2013, thanks to technological improvements. Advances in technology and drilling techniques such as hydraulic fracturing, coupled with resource rich domestic shale plays, means American producers are continuing to thrive despite lower commodity prices. 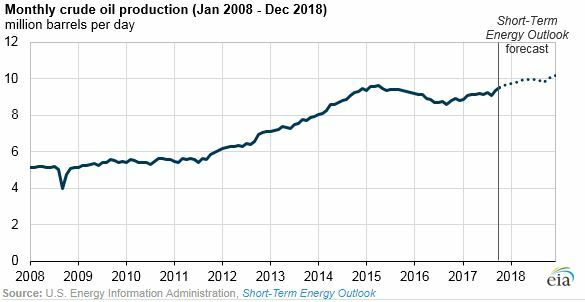 This continued increase in production efficiency in the face of low oil prices has allowed the United States to become an increasingly important player in the global oil market. Now the largest oil and natural gas producer in the world, topping OPEC countries such as Saudi Arabia, America is not only competitive thanks to advances in shale development, it’s dominating.